Many people have a motor cycle, car, truck or any other type of vehicle and require frequent mechanical maintenance or service. Some of the people are not going to the mechanic shop all the times. When there is a major problem in their vehicle, they will take it to the professional mechanic. But most of the times to take care of the smallest mechanical issues, they become a home mechanic to solve everything. 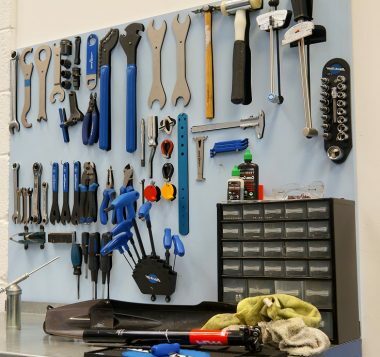 If you have a habit of doing some mechanical works for your vehicle at home, it is extremely necessary to have some of the significant tools. It is better having the all in one toolbox at your home in order to do all kinds of the mechanic works in an easier and effective manner. Duct tape – It is also known as the gaffer tape which is available in the range of different colors. Even though this duct tape is available in the various colors, the ancient reliable silver and black are the famous choices of everyone. This duct tape is the most important tool when you are doing the different types of the mechanical works at home. It is extremely strong, super easy to tear just by your hands and also very sticky. Bag of rags – This bag of rags is a bit of luxury to hold all of your important consumables necessary for doing the different mechanical works at home. The use of this bag of rags is absolutely great at all even to hold your knee pads while doing the mechanical works. All the home mechanics should also have the best model and top branded of the car jump starter which will be highly safe and effective for your usage. If you are going to choose the jump starter kit for your car, it is highly suggested choosing the compact model in order to save more space in your home garage. Similarly, you have to make sure whether your jump starter has maximum protection to give you advanced safety. Socket set – The high quality socket and ratchet set is absolutely a backbone of every good mechanical toolbox. All home auto mechanic should have to spend in buying this socket set with the life time guarantee. At the same time, it is absolutely the genuine product which will last for your lifetime for doing the different kinds of the mechanical works. It is definitely the greater and worth investment for everyone. The popular set of the socket set usually include ¼” drive, 3/8” drive and also ½” drive sockets & ratchets. It is essential to notice that everyone has to carefully handle this socket set for effectively used in your mechanical works. Bit set – When it comes to the plastic bits of the car engine and trim, there is a wide array of the Hex, Torx and Posi bolts. It is greatly frustrating when the mechanics have a simple home mechanic job to do like the change of the air filter. If you have selected the best multi piece bit set, it can able to solve over 99 % of the mechanical problems. Hammers – Hammer is one of the most essential tools which you should have in your mechanical tool set. It is now coming in the different sizes and shapes. You should analyze your need and choose the most suitable option of the hammer to place in your tool box. Ratchet and spanner sets – There are a full range of the combination spanners from the 8mm to 19mm which are the best bread & butter part of your mechanical tool box. It is the most essential and the best home garage kit which will give you double benefits at all the times. 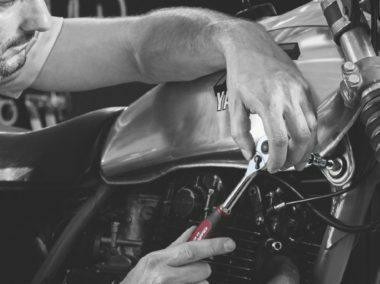 The most popular sizes of the spanners are 10 mm, 13 mm and 17 mm. If you are choosing the 10 mm and 13 mm spanners, they are used popularly for the different mechanical works. Whenever going to the set of ratchet spanners, they will make everything easier when you are working in some of the hard to reach places of your vehicle.